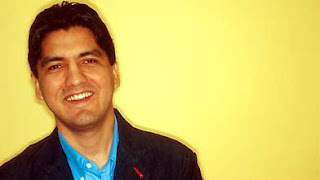 SEATTLE NOVELIST SHERMAN ALEXIE was named the winner of the 2010 PEN/Faulkner Award for Fiction on March 23, 2010, for his latest collection of stories and essays, interspersed with poems, War Dances (Grove/Atlantic, 2009). Alexie’s book, along with books by the other finalists, Barbara Kingsolver for The Lacuna (Harper, 2010), Lorraine M. López for Homicide Survivors Picnic and Other Stories (BkMk Press, 2009), Lorrie Moore for A Gate at the Stairs (Knopf, 2009) and Colson Whitehead for Sag Harbor (Doubleday, 2009), was selected from about 350 novels and short-story collections published by American authors in 2009. The PEN/Faulkner Award for Fiction is an annual award given by the Washington, D.C.-based PEN/Faulkner Foundation.